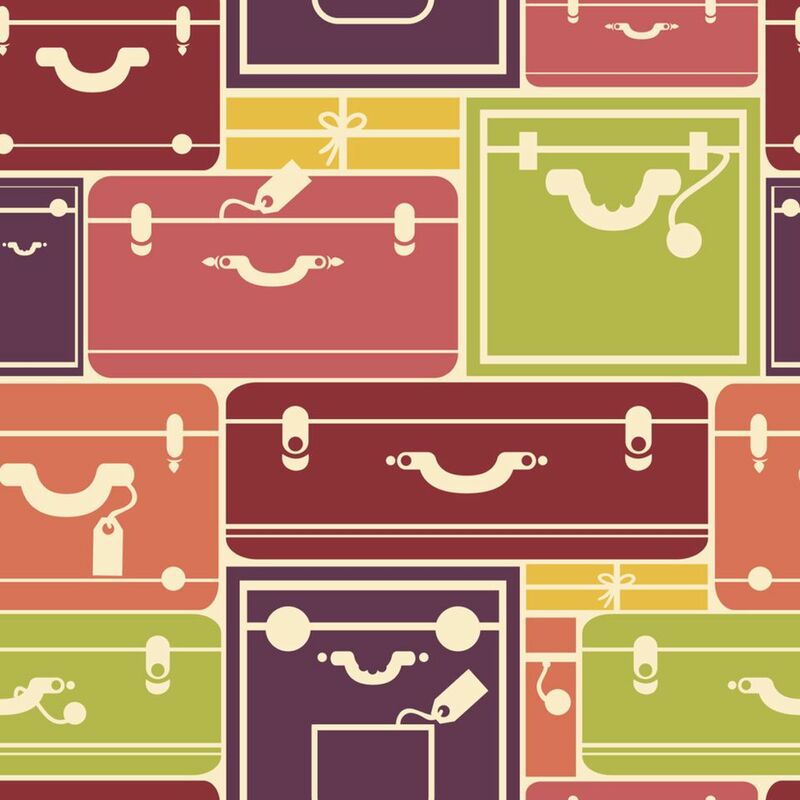 Buy luggage before embarking on a honeymoon or big vacation — as long as you need it. Is the luggage you already have adequate to your needs, does it meet new airline requirements, and will it suit the length of your next trip? If not, you may want to supplement what you have and buy new pieces of luggage. If you haven't bought luggage before or it's been a while, you may be impressed by the style, variety, and improved functionality now available. On the other hand, if the luggage you have is only dirty or scuffed but otherwise suits your needs, wipe it down with a clean, moist cloth and keep using it: It's only going to get more soiled on subsequent travels. Note: Better online sellers feature customer reviews worth reading before you buy. When you have a big trip planned where you'll need a variety of clothing for a length of time, think big. You're likely to require a variety of outfits and shoes to wear for different occasions — beach outings, sports, sight-seeing, casual and romantic dinners — and something to hold it all. If you don't have any luggage at all, you may want to invest in a matched set of 4 to 7 pieces in different sizes, which allows each of you to have your own bags. I also recommend owning a rolling duffel bag; bigger ones have near-bottomless capacity. And let you maneuver a heavy load easily. Airlines have gotten very strict about the size of the bag you can carry aboard. And the last thing you want to have to do is turn over your valuables to a baggage handler in order to enter the plane. Before you buy and before you fly, check with your airline to see what's what carry-on bags are allowable. You may also need a travel bag to walk around with. When spending time in a place where pickpockets gather, you may want to buy a bag with special safety features such as RFID protection. Thieves are wily, and using smart luggage is like having portable insurance. Most pieces are multi-purpose, so unless you buy luggage way too big or small, it can be adapted to your needs. That said, there are specific pieces for specific needs: If you're traveling to a destination wedding with a long dress and tuxedo, a garment bag can help minimize wrinkles. Cosmetic bags have multiple pockets that keep small objects organized. A camera bag can help protect expensive equipment and store accessories. The brand of luggage you choose to buy is important since you may need to add to your collection as time goes on. It also makes a statement about you. Rather than having a ragtag collection of mismatched luggage tumble down the carousel, compatible pieces trumpet your sense of style. While there are many fine brands of luggage, Tumi is highly regarded by sophisticated travelers. Tumi holds more than 25 patents for design and engineering, and its bags are as durable as they are good-looking. They all feature Tumi’s Tracer product identification system, which helps in reuniting lost or stolen bags and owners. Tumi features the trendiest luggage, offers free shipping both ways, and has outstanding customer service. Watch for occasional sales. Magellans merchandise is smartly designed to suit travelers' specific needs. Zappos carries a variety of luggage brands and lets you search by price, brand, color, features, size, and other categories. Shipping and returns are free.